Novamobili stands out in the furniture world for its modular systems. Its philosophy is to provide high quality furniture which is modular and highly functional, offering maximum flexibility in design and use. 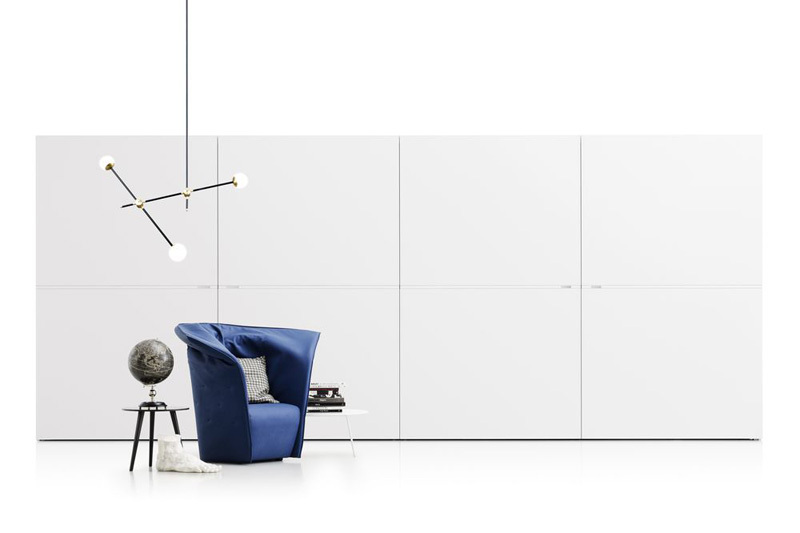 We work closely with the Novamobili team of designers and engineers to provide innovative wardrobe solutions and are delighted to be the sole contract supplier for their furniture in London and the South East. As the design and configuration of Novamobili wardrobes is uniquely tailored to your requirements, our team will provide first-hand advice on styling, finish and colours by range. 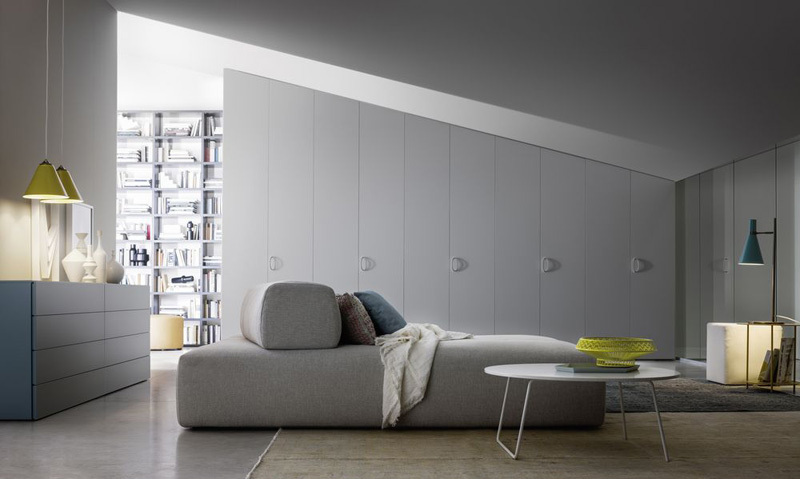 The Alfa hinged wardrobe (pictured) has been installed on many Pantera projects because of its adaptability and can be recessed, set against a wall or fitted into a corner arrangement. It is available in matt or gloss lacquered colours, and in textured, eco-wood or super-matt finishes. There is also a wide range of handles to finish the look to a high standard. This includes new stone handles in Carrara marble, wood-class handles in Rovere Miele and Rovere Terra and metal handles in a bronze finish. 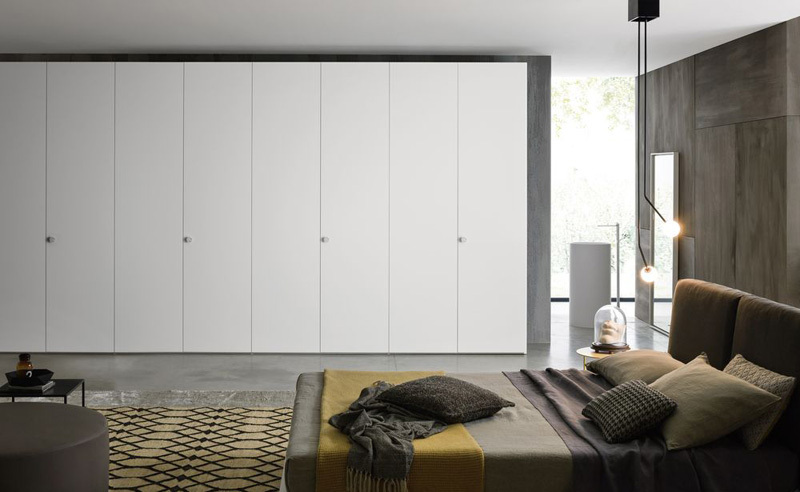 The versatile design of Novamobili’s hinged wardrobes exploits their full depth, offering greater storage capacity. Units can be tailored in height, width and depth and we can conceal structural columns as necessary to achieve a sleek profile. With a vast range of door, handle options and colours, there really is a solution for every scheme. Using single door modules, we can survey sloped ceilings and cut the doors to the angle of the ceiling. We would use the Alpha door for this purpose. Doors can also be partially cut down where the slope of the ceiling meets a flat surface. With Novamobili the design possibilities are endless. With a vast range of accessories, internal configurations and innovative lighting, Pantera can help design your scheme using Novamobili to create high quality storage with a truly bespoke edge. Flush-closing sliding door wardrobes provide valuable extra space and offer a functional wardrobe solution for the bedroom. 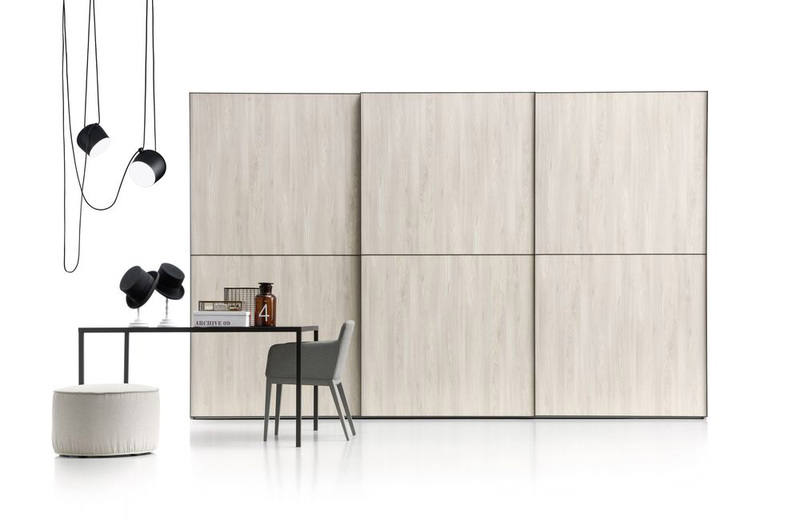 All Novamobili sliding door wardrobes offer the same internal functionality as their hinged wardrobes with a vast range of accessories, internal configurations and lighting. 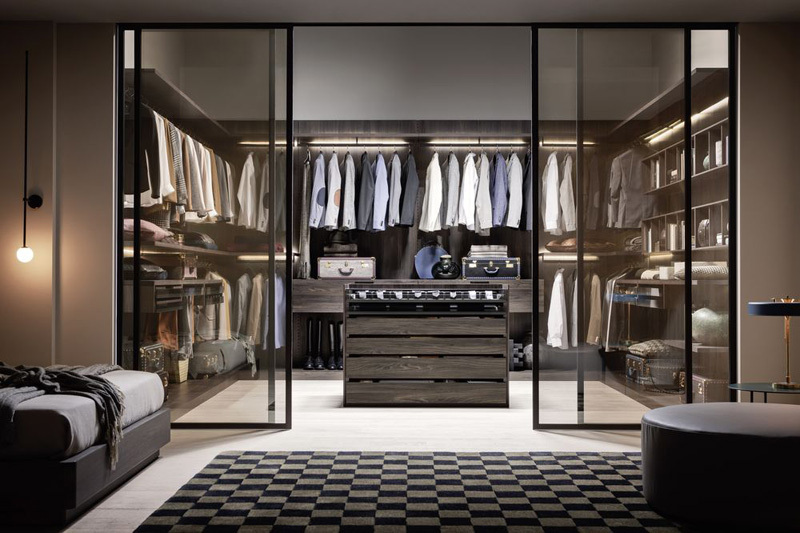 Pantera can help design your scheme using Novamobili to create innovative storage that maximises the space available and delights even the most discerning home-buyer. Optimising the available space, sliding door wardrobes offer a functional solution capable of meeting different design needs. The R&D department is where new furniture ideas and solutions take shape and are put to the test, combining technological innovation with experience and tradition. This innovation enables them to offer exceptional productivity, capable of meeting high demand, while providing the option of custom-made systems with fast turnaround times. Painting and assembly however are still carried out by hand. This is done by expert craftsmen passionate about the work they do and who diligently oversee all stages of the production process. It is this combination that ensures the high standard of quality in both the finish and service. There are two different styles, the ‘Ben’ and the ‘Break’. 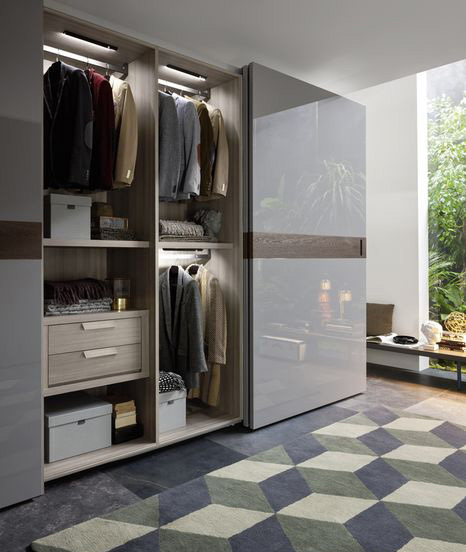 The Ben is a modern, modular closet that can be fitted with drawer units, flat or folded shelves, corner modules, trouser racks, tie trays, shoe rack shelves, and hanging rails, with open units and doors in matt lacquered, eco-wood or mirrored finishes. The Break can be fitted with corner modules, LED lighting, smoked glass drawers, hanging rails and accessories in a bronze finish. The slotted rail system does away with the need for supporting side panels and hence gives a visually light appearance. 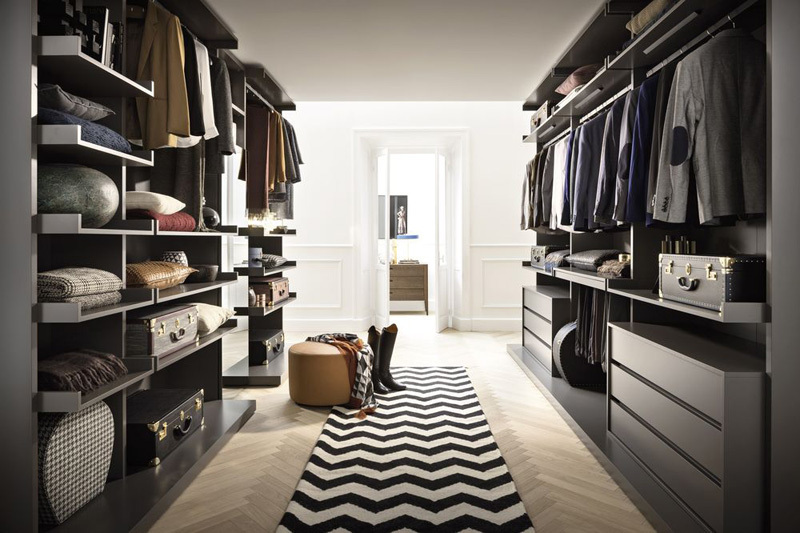 Practical and roomy, walk-in closets are designed to meet a different storage requirement. 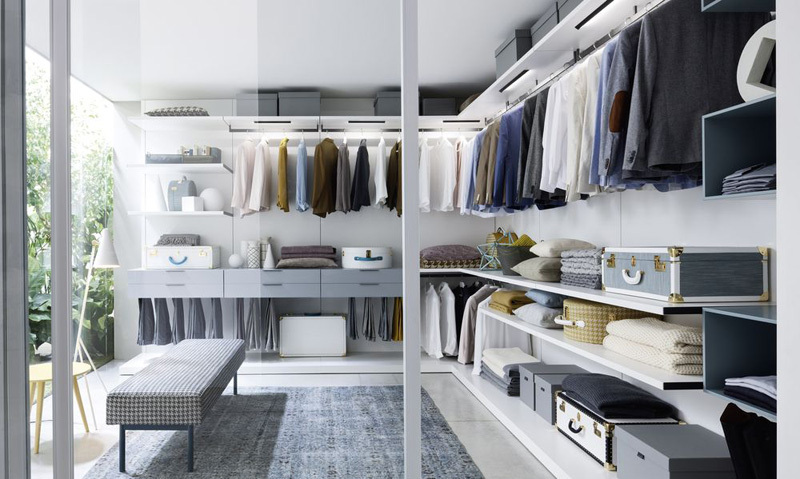 The adage, ‘a place for everything and everything in its place’ could certainly be applied here, with walk-in closets adding a real wow factor and adding value to any property. When designing a scheme, Pantera’s team can offer real expertise, providing drawings and specifications to ensure you achieve the required look and finish.